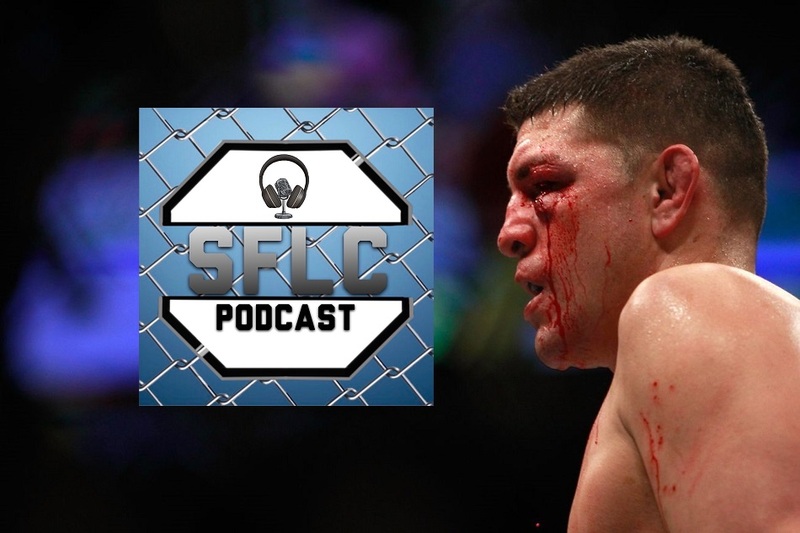 As per the usual, after each UFC pay-per-view, the Senior UFC writer for FOX Sports, Damon Martin, joined the SFLC Podcast to do sort of a quasi State of the UFC address. One of the topics of discussion was the recent announcement of Donald ‘Cowboy’ Cerrone vs. Robbie Lawler at UFC 205 at Madison Square Garden being taken off the table just days after it was announced. Since that time names to replace Lawler have been thrown into the hat. One such name was Nick Diaz whose suspension after allegedly testing positive for marijuana stemming from his last fight at UFC 183 in January 2015 is now up. According to Martin however, even though Diaz is now eligible for reinstatement since the suspension ended in August, he has yet to pay the full $100,000 fine levied against him by the Nevada State Athletic Commission. Diaz was initially suspended five years and fined $165,000 which was eventually reduced to 18 months and $100,000. Martin tells MyMMANews that Diaz has paid $25,000 of the $100,000 leaving a balance of $75,000.00 and will not be permitted to compete until the fine is paid. UFC 203 was a very interesting pay per view to say the least from Cleveland, Ohio. Damon Martin (@DamonMartin), who was cage side for the event breaks down the card. Check out his new podcast, the Fight Society Podcast on iTunes and anywhere you can find a podcast. Then, Ryan, Steve & Mike fantasy book the main card for UFC 205. Sponsors: Loutrition (@Lou_Trition) loutrition.net to become the healthiest version of yourself now! Nuetrition (@nuetrition) nuetrition.com for the best supplements on the market today! Use the promo code SFLC at check out to get free shipping ANYWHERE in the US!